Weave Gotcha Covered! specializes in the fabrication and installation of custom window treatments, fabric furnishings, and upholstery. If your windows need curtains, shutters, or sun control—inside or out—call us. If your bed would like a new spread or pillows, we can help. If your porch wants sun, insect or golf ball protection—we have the answer. Our creativity, attention to detail, and customer service are well known with our clients. We are a social enterprise. We use the power of business to solve social problems. When you buy from us, you are investing in your local community. 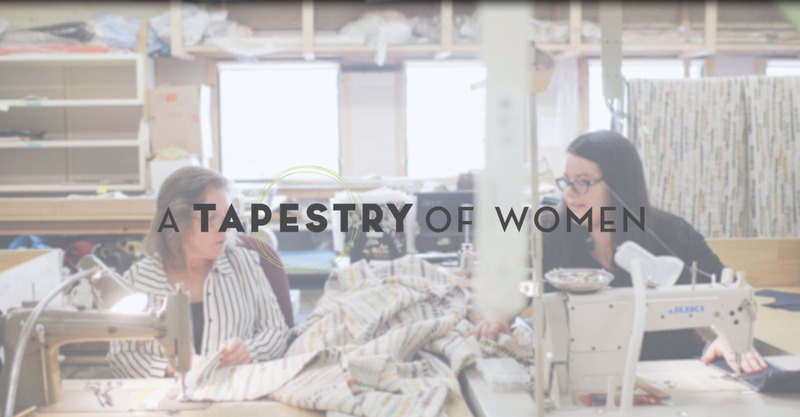 We are a woman owned business committed to employing and training women constrained by generational poverty, addiction, incarceration and other life-circumstances as they work to reclaim their lives through economic sustainability. Follow us on social media to see our story. Looking for classes or information on The Sewing Labs? Click here.